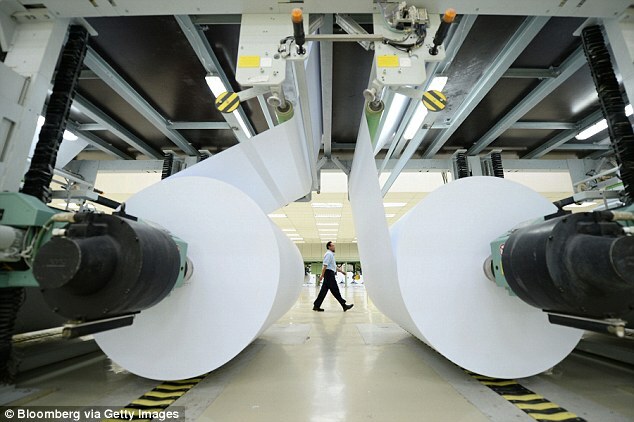 Baby boomers (folks aged 53 to 71) are coming “to the rescue of the beleaguered paper industry”, says Kevin Mason of ERA Forest Products Research. But rather than ‘penning more prose’—North American printing and writing paper demand dropped 3.9% in 2017—it’s their use of adult incontinence products which are “projected to grow four per cent in 2017”. In a related story, the “significant decline in newsprint” has Resolute announcing “the indefinite idling of its paper mill in Thorold, Ontario”. No word on whether they’ve read Mason’s report but the company is “looking at converting production to an alternative product”. Sticking with Resolute, their efforts to defend “against Greenpeace’s attacks deserve our gratitude” according to Jaana Woiceshyn, author of How to be Profitable & Moral. Further, the Ontario Court of Appeal upheld an earlier ruling that disallowed the expansion of their lawsuit against Greenpeace. 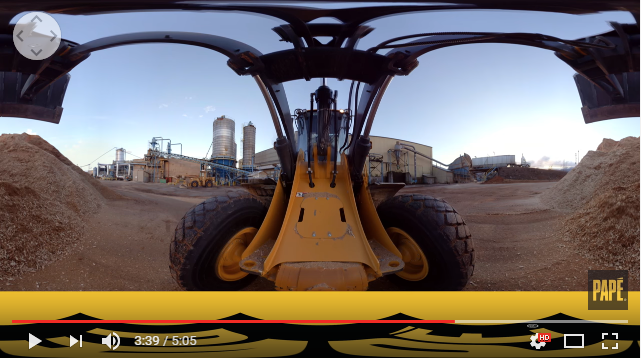 Also in the news, Timber Tech is cutting edge via “virtual reality goggles at the Oregon Logging Conference” and “women are the answer to New Zealand’s skilled worker shortage,” according to Pamela Bell, CEO PrefabNZ. Finally, we are disappointed to read that NY developer Ghassemi—citing the downturn in the market—has “scrapped plans to build the city’s tallest wooden tower in Chelsea“. The proposed project, was one of the winners of the U.S. Dept. of Agriculture-sponsored Tall Wood Building Competition in 2015. Diaper-wearing baby boomers are coming to the rescue of the beleaguered paper industry. As the world population ages, sales are climbing for absorbent hygiene products that have gotten more comfortable and discreet… They’re expanding production of the moisture-capturing fiber known as fluff pulp used in diapers and tampons. The shift is providing welcome relief for an industry hurt by the emergence of the digital era and paperless communication. As North American producers expand output of fluff grades, the market for traditional pulp is tightening. Prices have been rising in recent months with more gains expected in March, according to Bloomberg Intelligence… U.S. retail sales for products targeting adult incontinence reached almost $2-billion in 2016 and are projected to rise another 9 per cent in 2017 and 8 per cent in 2018. Firefighters spent more than 12 hours battling a blaze at the Elite Forest Products mill in Malakwa on Thursday. “It’s big,” said an exhausted Sean Coubrough, Columbia Shuswap Regional District fire services co-ordinator, attempting to estimate the size of the structure fire at the mill he and Malakwa, Swansea Point and Sicamous fire crews spent the day getting under control. “It’s bigger than I’m used to estimating… I’d say it looks like two football fields in length and maybe one of them burned.” …“About half of the building we were able to save, which, considering the extent of the fire when our crews arrived on scene is no small feat,” said Coubrough, adding the site’s manager, Ray Hansen, seemed pleased, having expected a complete loss. Aging baby boomers are benefiting the paper industry as sales continue to climb for absorbent hygiene products. As the diaper-wearing baby boomers age, the demand for adult incontinence products are projected to grow four per cent in 2017, according to ERA Forest Products Research. ‘The fastest-growth market is adult incontinence,’ Kevin Mason, the managing director of ERA Forest Products Research in Kelowna, British Columbia, told Bloomberg. ‘That baby-boom generation, that demographic is moving into that area, and it’s going to help boost the overall demand.’ That demand is expected to boost sales for companies like International Paper Co and Domtar Corp.
Kootenay-Columbia MP Wayne Stetski is calling on the Liberal government to subsidize local mills in the event of an unfavourable softwood lumber agreement with the United States… Stetski and the 13 other New Democrat MPs from British Columbia are concerned that the Liberal government does not have a Plan B in place in case the United States brings duties against Canadian products, they are calling for federal loan guarantees for softwood lumber producers… Stetski said he is mainly concerned for family owned mills in his riding, many of which sell most of their lumber to the United States. The larger lumber companies often have mills on both sides of the border, which makes them less susceptible to tariffs, he said. “They’ll just increase what they’re producing from south of the border but that doesn’t help us,” he said. Business is under continual attack, by environmentalist and other NGOs, helped by Hollywood celebrities and often hostile media. The attackers accuse business of destroying the natural environment, increasing inequality, deceiving their customers and exploiting their workers—all for “greedy” pursuit of profit maximization. No wonder surveys show that people do not trust business. Greenpeace’s attacks on Resolute Forest Products, Canada’s largest forest products company, is a good example. …But the appropriately named Resolute did not respond to Greenpeace’s attack campaign by appeasing and apologizing, like many other companies do in the hopes of being spared from further attacks. Led by CEO Richard Garneau, one of my corporate heroes, Resolute realized that you cannot stop a bully by appeasing it, and started to fight back. …Only by recognizing the moral value of its work, can business stand up and defend itself like Resolute Forest Products has done. It deserves our gratitude; let’s hope others will be inspired by its example. TORONTO — A decision to cut down swaths of a Canadian forestry company’s claims against Greenpeace has survived an attempted legal challenge before Ontario’s top court. That means a $7 million lawsuit by Resolute Forest Products against the environmental group will now proceed on a narrower but still substantive tract. In the latest development in the bitter legal fight, the Ontario Court of Appeal declined to hear Resolute’s challenge of a Divisional Court ruling from last August that found several of the company’s allegations to be frivolous. Greenpeace called the failed appeal attempt a “major setback” for Resolute. A panel of Ontario judges has tossed out an attempt by Resolute Forest Products to expand a $7 million libel suit against environmental organization Greenpeace. The judges upheld an earlier ruling that tossed out an attempt by the forestry giant to expand the lawsuit to include many of Greenpeace’s past statements and actions, which the court ruled would have turned the libel lawsuit into “an inquiry into the entire Greenpeace movement.” The judges made their decision on Feb. 21, but details were only released on Friday by Greenpeace Canada. The lawsuit itself is ongoing. Resolute has operations in Ontario, Quebec and the United States and is one of Canada’s largest forestry companies. 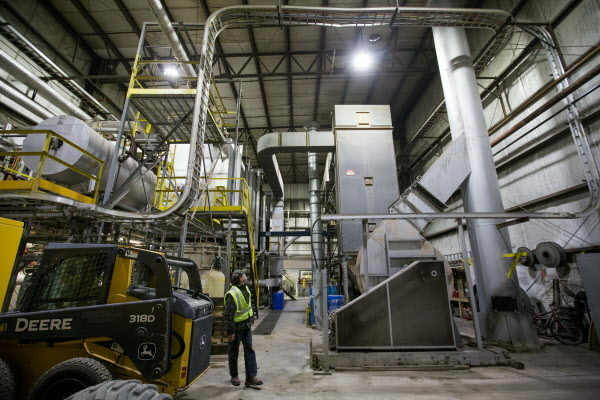 By Resolute Forest Products Inc.
MONTRÉAL – Resolute Forest Products Inc. today announced the indefinite idling of its paper mill located in Thorold, Ontario. The facility, which employed over 100 workers, has an annual production capacity of approximately 197,000 metric tons of newsprint on one machine using 100 percent recycled furnish. The difficult decision to proceed with the indefinite idling is driven by the ongoing significant decline in North American newsprint consumption, coupled with the increasing cost of recovered paper. The company had already been taking downtime at the operation since mid-December 2016. Resolute is collaborating with Stone House Investments Holdings Inc., an independent third party interested in converting Thorold to production of an alternative product. 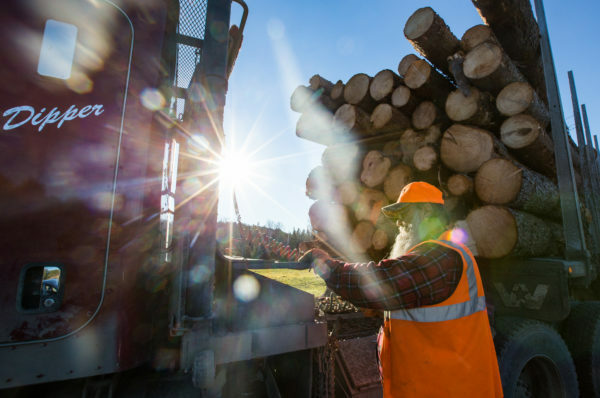 SEARSMONT, Maine — The shuttering and shrinking of paper mills has forced businesses across the forest products industry to take a fresh look at their approach. At Robbins Lumber, a 136-year-old family-owned sawmill in Searsmont, the upheaval is prompting a big investment to become not just a lumber producer, but an energy producer. Churning out boards, planks and beams by the truckload each day, Robbins Lumber in Searsmont ends up with a lot of leftovers. Every day, the company’s saws and chippers produce about 90 tons of woodchips, enough to fill three truckloads. Those chips have been sold to paper mills to help fuel the papermaking operations. But with mills closing and downsizing across the state, the lost revenue stream could become a liability. More and more wood pulp is used to make rayon clothing, but how much comes from sustainable producers? An environmental group wants you to think about preserving the forests of northern Ontario when shopping for clothes. Canopy is a BC based non-profit pushing companies that makes rayon from wood pulp to buy only from sustainable producers. Executive director Nicole Rycroft says most shoppers don’t know that more and more clothing is being made from trees. “It’s a little less intuitive that something that can give you a splinter ends up being that fabric that’s soft and silky next to your skin,” she said. Rycroft’s group recently convinced clothing giant VF to make sure its rayon doesn’t come from endangered or ancient forests. …Rycroft says it’s hard to know how many northern Ontario trees are turned into rayon. Some do likely end up at the Tembec mill just across the border in Temiscaming, Que., which sells about 50-thousand tonnes of pulp to fabric companies. Traditionally, states that rely on the timber industry, like Oregon, haven’t had much to cheer in the last 30 years. Modernization of mills, economic changes and huge declines in logging led to a long downturn in the industry. During last year’s presidential campaign, candidate Donald Trump promised to bring back timber in Oregon. Some in the industry are hopeful, but others aren’t waiting. They’re moving ahead with innovations they hope are the key to survival. There’s a street corner in downtown Portland, Ore. where architect Thomas Robinson can stand today, and envision a dramatically different scene next year. “What you’ll be seeing is a revolutionary 12 story, mass timber structure,” he says, “Really — a high rise timber building.”… Groundbreaking on the nation’s tallest timber high rise building, is expected this summer in Portland. A New York developer has deserted plans to build a 10-story mass timber condominium building in New York City’s Chelsea neighborhood, according to Architect. The SHoP Architects-designed building was one of the winners of the U.S. Dept. of Agriculture-sponsored Tall Wood Building Competition in 2015. A team from Portland, OR, also shared top honors, with both groups earning $1.5 million toward project development. Developer Sy Ghassemi told The Real Deal that lenders had shown little interest in funding the project and that there had been a downturn in the market since planning began. Talk about logging off. 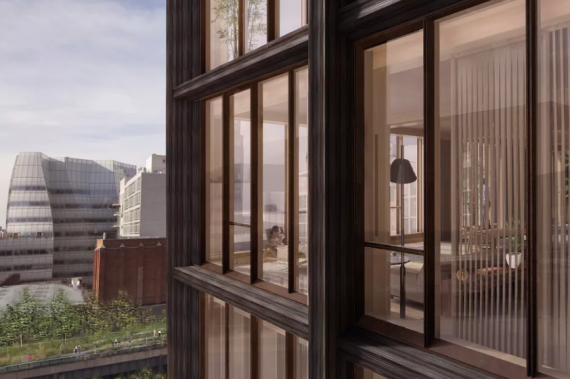 After much fanfare about the potential future of wooden high-rises, developers have scrapped plans to build the city’s tallest wooden condominium tower in Chelsea, The Real Deal has learned. The developer, Sy Ghassemi, confirmed on Friday that he’s not moving forward with the wooden condo building that SHoP TRData LogoTINY designed for 475 West 18th Street. The proposed project, which was awarded $1.5 million from the U.S. Secretary of Agriculture in 2015 for research and development, would’ve been the first of its kind — a 10-story building constructed of mass timber, a material that consists of dense panels of wood. 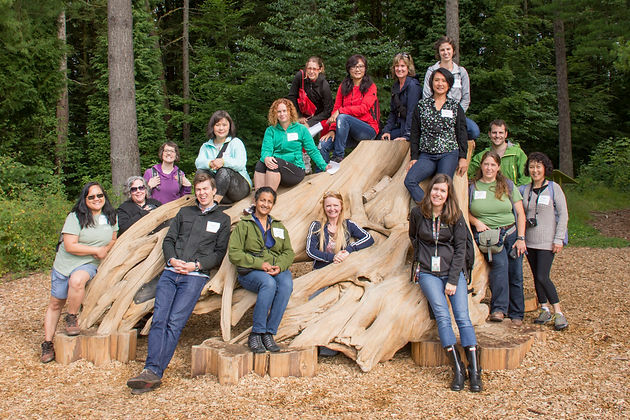 The BC Festival of Forestry is a non-profit organization committed to providing quality professional development experiences for school teachers. In our 2016 summer program we tried something we’d never done before. We called it, Forestry in your back yard. Many of the teachers who join our tours are from the Lower Mainland and often return from a tour asking how they can share their forest experience with their students. You don’t have to go far from Vancouver to find a forest—so this year we decided to host a tour in our own backyard. It was still an adventure—but an adventure where our teachers can take their students to follow in their footsteps. …The day’s itinerary started off at the Surrey Nature Centre at Green Timbers. Still getting to know one another, the teachers were greeted by Program Coordinator, Bree Green. Bree runs youth programs at the Centre and is passionate about outdoor learning. While touring the extensive grounds at Green Timbers, Bree had the teachers engage in hands-on activities designed for kids to learn about local ecosystems. When the doors opened at the Wood Innovation and Design Centre in Prince George in October 2014, the six-floor, nearly 30-metre tall structure was the tallest contemporary wood building in North America. It took just two years for that record to be smashed when an 18-storey building made mostly of wood was erected at the University of British Columbia in Vancouver. Such a milestone was unthinkable a decade ago. …In the Prince George Timber Supply Area, the largest forest in the province, the current estimate is that logging rates must decline by half because of years of unsustainable logging. Obviously, a rebalancing is in order. But that is not enough. We need the province to show leadership and vision, just like the people behind those tall buildings did. A good place to start is to acknowledge the obvious: Not all forests are the same. Boosting its mandate to build strong industry partners, Northern Lakes College recently signed a forestry partnership with the Metis Settlements General Council to provide forestry training to Metis from East Prairie, Peavine, Gift Lake and Paddle Prairie. The overall objective of the partnership is to provide local Metis with well-rounded and customized training in the forest industry, says an NLC news release. “The Metis Settlements General Council also cultivates economic opportunities for its settlements and its members so the partnership with NLC is a perfect fit ands will contribute to the long-term sustain-a bility of the Metis settlements,” says council president Gerald Cunningham of East Prairie. Why should we pay billionaires to destroy public lands? Imagine what you could do with $972,000! What the federal government wants to do with it is subsidize the Stonewall timber sale and burning project, which will destroy about 5,000 acres of big game, lynx and grizzly bear habitat northwest of Lincoln, in violation of federal laws… Most Montanans believe the federal government should be spending taxpayer money protecting fish and wildlife habitat on public land, not destroying it – and there’s plenty of restoration work that needs to be done due to past logging damages. Just to be clear, the $972,000 is what the Forest Service says in the environmental impact statement that the federal government will lose on the timber sale. The timber sale may well be bought by RY Timber of Townsend and Livingston, which is owned by the billionaire Yanke family from Boise, Idaho. Timber remains a $40 billion industry in the Pacific Northwest, with logging trucks and mills regular sights across Oregon and Washington. And like many industries, timber is adopting new technologies to improve efficiency, safety and productivity. KLCC’s Brian Bull explores the latest “cutting edge” tech. Retired logger Jack Abernathy is being reckless. He’s riding on the hood of a semi loaded with trees, barreling down a rugged, wintry slope. “Oh man, now I’m going down the road! Woo woo woo! Wow, that’s fantastic! Wheeee!” Okay, technically he is…and isn’t. Abernathy is seeing this all through a pair of virtual reality goggles. He’s seated safely at the Papè booth at the 79th annual Oregon Logging Conference in Eugene. …“It’s a lot more than just guys with axes, it’s pretty high-tech anymore,” smiles Milt Moran of Cascade Timber Consulting in Sweet Home. He says there’s innovations going on with steep slope logging…where a tandem set of machines use a tethering system and remote control to do tree-cutting. WEST GLACIER – Waiting for Secretary of the Interior Ryan Zinke to finish a private meeting with Blackfeet tribal leaders, Glacier National Park Deputy Superintendent Eric Smith did some quick math… Smith soon had tallied up $125.9 million in deferred maintenance in his park alone… The National Park Service needs about $12.5 billion – with a ‘B’ – just to catch up on its backlogged to-do list. Just nine days into his new cabinet position, Zinke acknowledged he has some catching up to do… Zinke announced his own plans to put the Interior Department on a new heading, with a pledge to push more decision-making to the park supervisor level at the expense of Washington, D.C. and regional managers… But budgets will remain a challenge. BOISE, IDAHO — A conservation group has created maps identifying key landscapes in three Western states most likely to sustain native species amid climate change and is distributing money to protect private lands in those areas through use-limiting easements or outright purchases. The Nature Conservancy says it has $6 million from the Doris Duke Charitable Foundation that it’s now distributing among land trusts that must come up with five times the amount in matching funds for approved easements or acquisitions. “We’re protecting lands in the three states that are identified as being resilient,” said Ken Popper, senior conservation planner with The Nature Conservancy. “In the short term, we’re looking at wildlife movements and in the long term movements of habitats. Logging that happens today and potential future rainfall reductions in the Amazon could push the region into a vicious dieback circle. If dry seasons intensify with human-caused climate change, the risk for self-amplified forest loss would increase even more, an international team of scientists finds. If however there is a great variety of tree species in a forest patch, according to the study this can significantly strengthen the chance of survival. To detect such non-linear behavior, the researchers apply a novel complex network analysis of water fluxes. 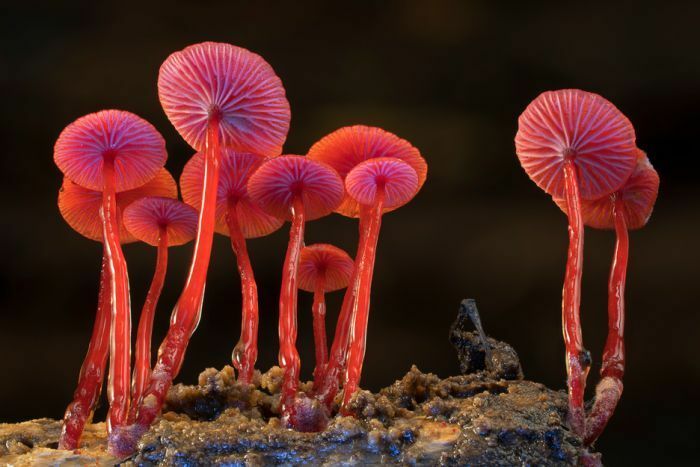 …Under a dry-season halving of rainfall, at least 10 percent of the forest might be lost due to effects of self-amplification alone, adding to the substantial direct forest losses from reduced water availability. You can now grow a tree from the ashes of your cremated loved ones. The Living Urn is a sapling tree delivered in the post with a specialised urn from which to grow it using ashes. The idea it your loved one becomes a part of the tree, leaving a living legacy for years to come. One of the founders of Living Urn, Mark Brewer, told us he developed the idea with two of his childhood friends after attending a memorial of their friend’s father at school. “They planted a tree in his memory, and there was a ceremony and it was really beautiful. To this day that tree remains, and that stuck with us.” …Whether taking care of your pet or a human loved one, the most obvious danger of the Living Urn idea is that the tree could die, exacerbating your grief. Brewer explains that the team took great care in developing the system, which uses saplings rather than seeds to ensure the tree has the best chance at life. “Women are the answer to New Zealand’s skilled worker shortage.” Pamela Bell, CEO PrefabNZ. “Wood is going to be bigger than dairy – more sustainable and provide the jobs for our future.” Says Pamela. PrefabNZ, in collaboration with Carter Holt Harvey Woodproducts, BCITO and CareersNZ, has produced the logs4jobs video… Women are the untapped workforce able to fill the future skilled worker shortage. Under worked and underutilized, women make excellent employees – they are more safety conscious and more productive. Ketchikan, Alaska – Registration is open for the Alaska Wood Energy Conference, which will meet April 11-12 in Ketchikan. Conference organizer Karen Petersen of the University of Alaska Fairbanks Cooperative Extension Service said the biennial conference will focus on how wood energy can help Alaska with its energy challenges. Conference topics will include biomass harvesting and production, Canadian biomass projects and policies, carbon credits, air quality concerns and case studies of existing biomass operations. Optional activities will include tours of woody biomass operations in and around Ketchikan on April 10 and biomass-heated greenhouses on Prince of Wales Island on April 13. For most Michiganders, convenience and price will determine which fuel will heat and cool homes and businesses. For most, whatever is currently in a purchased building is what will be continued. For new buildings, the choice is usually whatever the HVAC installers know how to do. Change comes slowly. Not often on the radar screen is the use of wood. 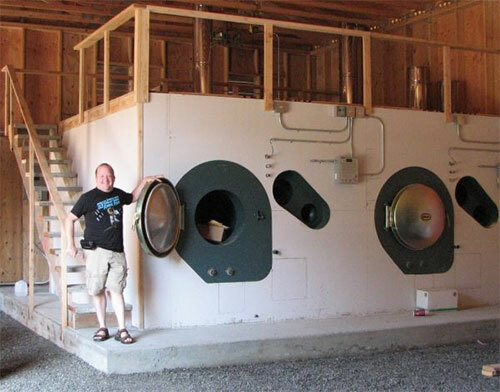 Not so much the throwback technologies of the last century, or some of the lower-end outdoor furnaces available today, but more the advanced “wood-based thermal” technologies that increasingly become available. These advanced systems are no less convenient than natural gas, propane or fuel oil. Their emissions can barely be detected and are, in fact, cleaner in terms of carbon than fossil fuels. An explanation is needed here, however.